Dubai is where you can find traditional souks rubbing shoulders with the world’s tallest building. Evolving from isolated desert emirate to one of the world’s leading global cities in less than a generation, Dubai has rapidly become a must-see destination. 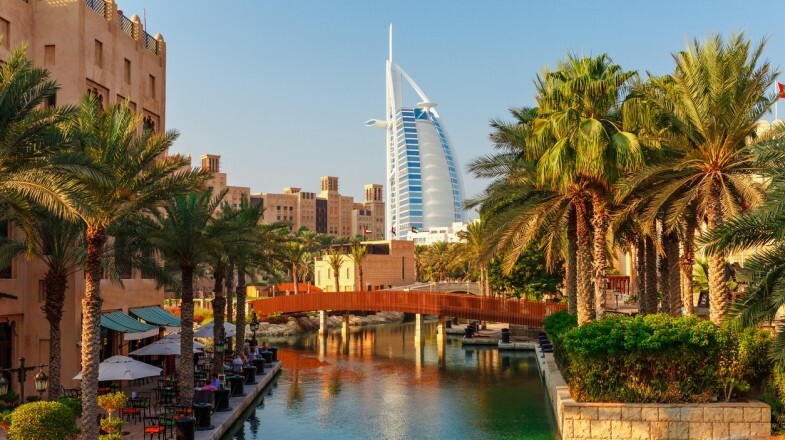 Here you’ll find traditional souks rubbing shoulders with the world’s tallest building, man-made islands that host some of the most impressive hotels anywhere on earth, guaranteed sunshine and wholesome family fun. Unsure what to see in Dubai? 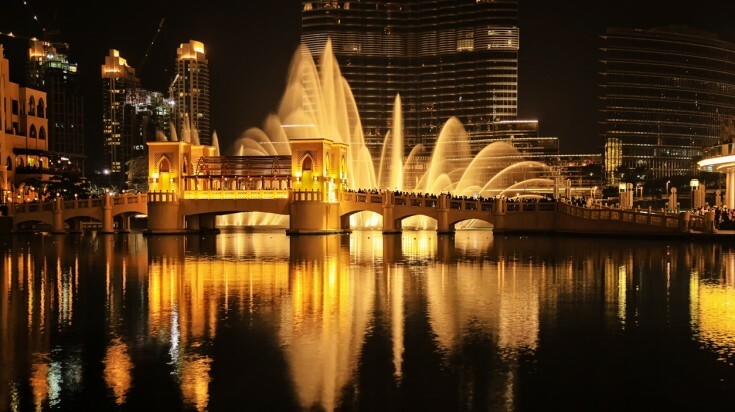 Check out our 10 best places to visit in Dubai below. 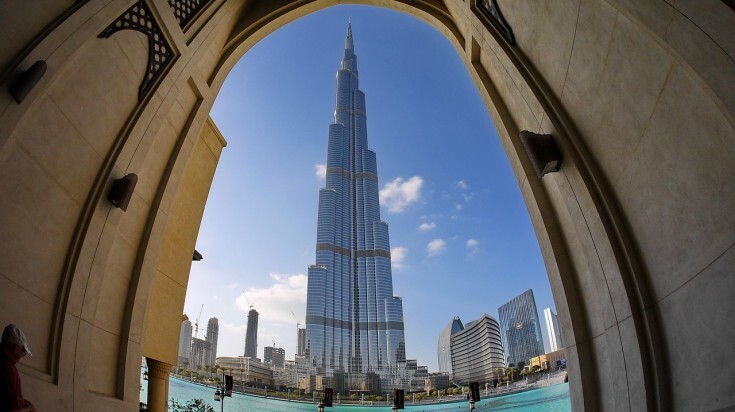 The tallest building in the world, Burj Khalifa. No Dubai sightseeing trip is complete without a visit to the building that has come to symbolize the city more than any other. The world’s tallest freestanding structure, rising to an almost unbelievable height of 829.8m, the Burj Khalifa is not to be missed. A visit to the ‘at the top’ observation deck on the 124th floor offers panoramic views that are simply breathtaking and includes a multimedia experience that details some of the difficulties overcome during the mammoth building project. Also, make sure you don’t miss the beautiful gardens that surround the tower at ground level. Good to know: The tower can get busy, particularly on weekends. Skip the queues by buying your ticket in advance online at www.burjkhalifa.ae. Another unmissable site in Dubai is the Dubai Aquarium, home to 140 colorful species of fish and other sea life. The main tank holds 10 million litres of water, and amongst hundreds of sharks and rays is the largest collection of sand tiger sharks in the world. Situated on the ground floor of Dubai Mall, it is possible to view the main massive tank (large enough for glass-bottomed boat tours on its surface) from the mall itself, though nothing quite matches the thrill of heading "into" the tank yourself by entering the 148-meter-long walk-through tunnel. For the adrenaline junkie, cage snorkeling and shark diving are both on offer. Good to know: As well as the underwater wonders, there’s also a lesser known zone that boasts snakes, chameleons, scorpions and spiders that shouldn’t be missed! Planning to visit the Dubai Aquarium? Check out this Underwater Explorers Tour or this Dubai Aquarium & Underwater Zoo Tour. The Atlantis Hotel is located on Palm Island. The Palm Jumeirah, the artificial island. 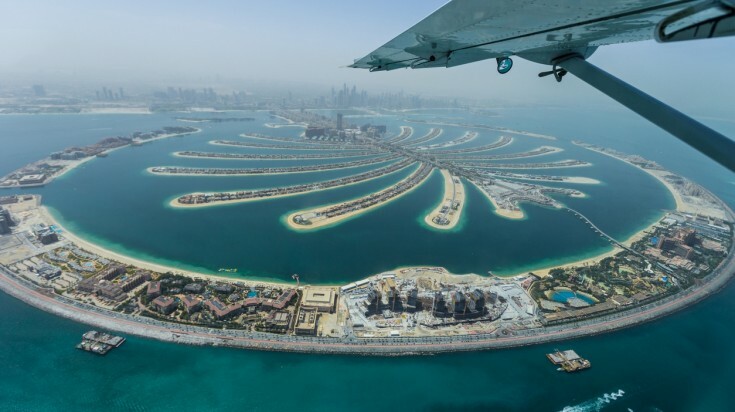 This man-made island in the shape of a palm tree, the Palm Jumeirah is where you’ll find many of Dubai’s finest hotels including the iconic Atlantis. 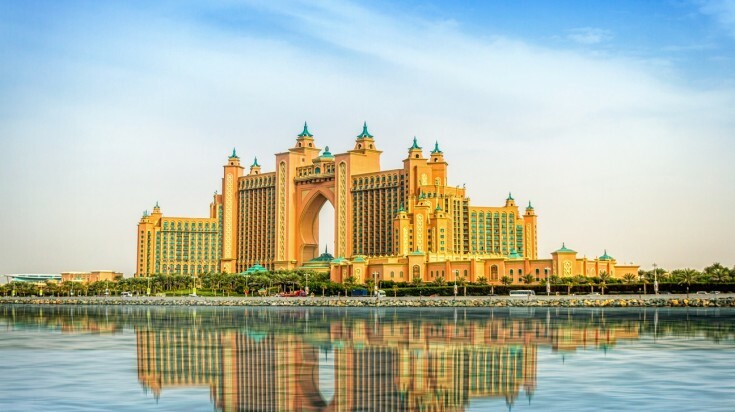 This enormous hotel is also home to Aquaventure Waterpark which boasts the world’s longest water slide as well as another that drops nine stories. There is also a huge stretch of child-friendly sand and the chance to go on an underwater safari using sea trek helmets. Good to know: A monorail system runs the length of the palm’s ‘trunk’ making it incredibly easy to visit any time of year. Take this boat tour in Dubai to visit Palm Jumeirah and see the exotic Atlantis Hotel. You’ll find a number of Dubai points of interest in Deira, the oldest part of the city. Lying on the northern side of Dubai Creek, the area’s twisting roads are home to a melee of people and cultures that call Dubai home. 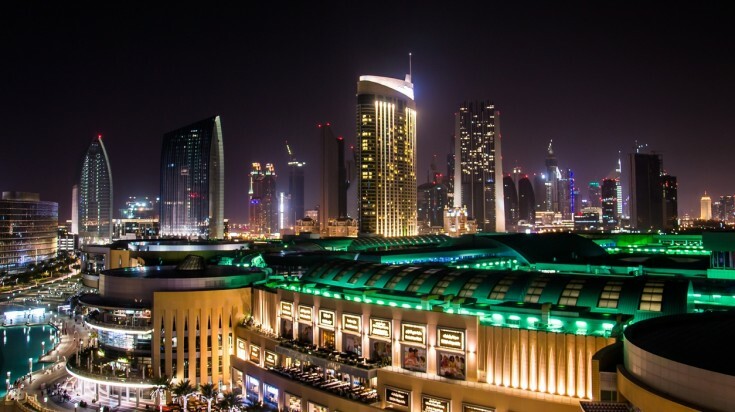 Most famous for its souks, or markets, it’s a world away from Dubai Mall. Here you’ll rub shoulders with locals while delving into the world of exquisite gold jewelry and taking in the scents of unknown spices. Good to know: Deira is just a few minutes’ drive from the international airport, making it one of the best places to visit in Dubai if short of time. 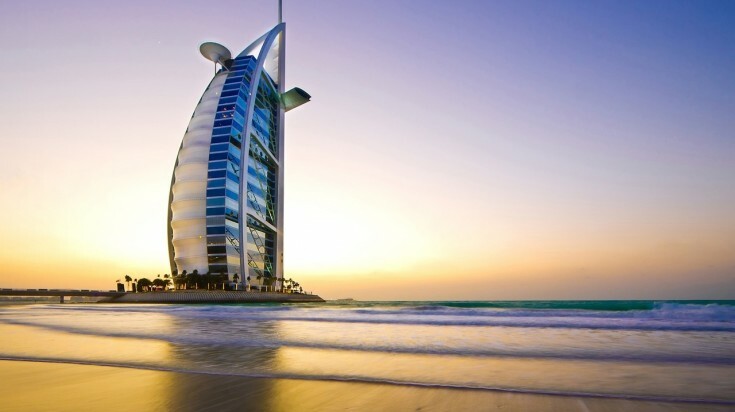 Though it cannot compete with the heady heights of the Burj Khalifa, the Burj Al-Arab does lay claim to being the world’s tallest hotel at 321 meters high. Sitting on its own dedicated island, its architecture echoes the shape of a traditional dhow in full sail — a type of merchant ship that has been plying the waters around the emirate for centuries. Come nightfall, the exterior is lit up with a kaleidoscope of colors. Good to know: The best suites can set you back USD 15,000 dollars a night, but a more economical way to visit the Burj is with a visit to the Skyview Bar on the 27th floor. 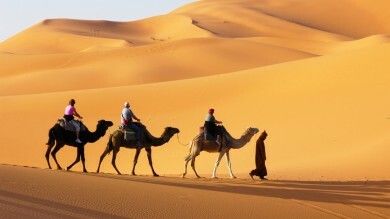 Take this Half Day Dubai City Tour and visit the Burj Al-Arab along with other highlights of Dubai. More than just a way of entering the Burj Khalifa or gazing at the underwater world of Dubai Aquarium, Dubai Mall sees people travel from across the globe to seek out its stylish stores. The shopping opportunities here could easily be described as endless (there are more than 1200 shops) but should bargain-hunting become too much, there are a huge array of places to eat, as well as an ice-rink, gaming zone and cinema. Good to know: Dubai Mall also hosts regular live events, such as music concerts and fashion shows, and are well worth looking out for. Visit the Dubai Mall and Dubai Aquarium with this tour. Situated in the stunning sand-colored Al-Fahidi Fort, which was built in the late 1700s to defend Dubai Creek, this is Dubai’s foremost museum and top Dubai cultural attraction. Amid the centuries-old design consisting of coral stone, palms, and wooden supports among other materials, there is a fascinating exhibition of maps showing how Dubai has changed over the years and a courtyard full of traditionally-constructed boats. For an insight into Emirati life old and new, you can’t do better than Dubai Museum. Good to Know: Another worthwhile museum visit is that to the Sheikh Saeed Al-Maktoum House, the home of the former ruler of Dubai. This tour takes you on a visit through Dubai Museum and the historical wonders of Al Fahidi Fort. Also known as Old Dubai, Bastakia is a treasure-trove of Emirati heritage. The district on Dubai Creek was created in the late nineteenth century. Largely unchanged since then, the area’s narrow lanes are crammed full of elegant period buildings, many boasting wind towers that help keep these buildings cool during the summer heat. The Bastakia is also a burgeoning arts center, don’t miss the traditional Arab furniture and ceramics of the Majlis Gallery, or the modern art of the XVA Gallery. Good to know: Bastakia is located on the eastern section of the Bur Dubai. It’s sometimes referred to as the Al-Fahidi neighborhood. 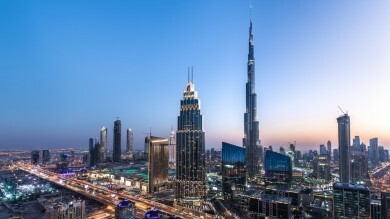 Combine visits to three top things to do in Dubai by exploring the heights of the Burj Khalifa, taking in a spot of shopping at the Dubai Mall, and then watching the spectacular water displays of the Dubai Fountain. The illuminated jets move in time to popular musical numbers from around the world in the largest choreographed display of its kind. With jets shooting up to 150m in the air, it’s an incredible sight. Good to know: The displays occur at 1 and 1:30 pm every day except Friday, when shows are at 1:30 and 2 pm, and again every 30-minutes from sundown until 11 pm. Take a dhow cruise and sail along the Dubai Creek. An integral part of Dubai both ancient and modern, Dubai Creek separates the city into Deira to the north and Bur Dubai to the south. In many ways the place where it all began, the creek is a great place to get a feel for the traditional ambience of Dubai. Check out the dhow wharf, north of the Al-Maktoum Bridge, to see vessels up to a century old continuing to act as a lifeline for small traders from across the region — you might even get invited aboard! There are a number of buildings to note, not least the Deira Twin Towers and National Bank, while nearby Dubai Creek Park is one of the largest in the Emirate and a great place for a relaxed picnic with friends old and new. Good to know: You can get an—albeit short—feel for dhow life by heading along the creek on a cruise, taking in the historic trading port as you do so. 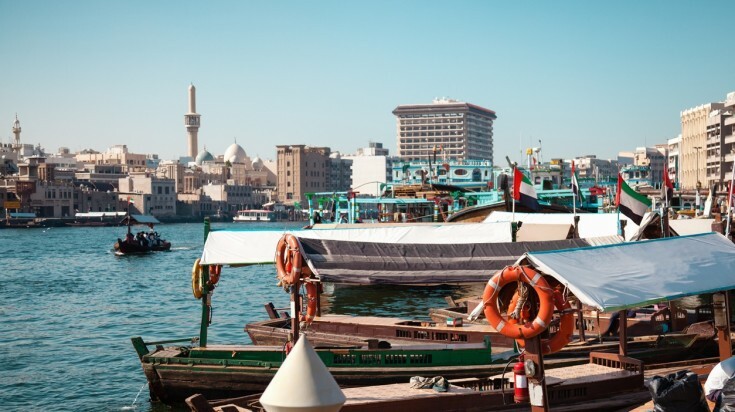 Float along the Dubai Creek with this Dubai Dhow Cruise. As you can see there are a huge diversity of places to visit in Dubai, however long your stay in this twenty-first century global city. From the historic sites of Dubai Creek, Bastakia, and Deira, to the glamour of Dubai Fountain and the Burj Khalifa, there’s always something new to explore in this ever-evolving city.